The Niagara Falls in Canada is a destination which is bursting with activities and things to see for families with kids of all ages. 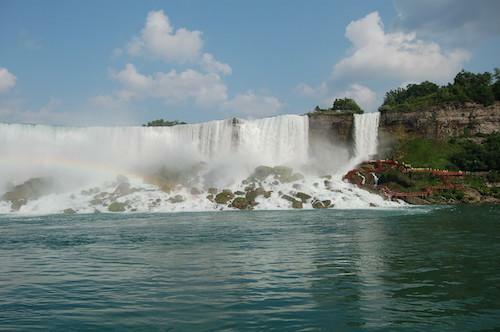 Whether you are going for a quick visit to the Falls on the weekend or want to spend a little longer at this world-famous attraction, there will definitely be no shortage of things for you to find for your family to do. If you’re planning a family trip to the amazing Niagara Falls, here are just some of the best things to do together. Michaëlle Jean was born in Port-au-Prince, Haiti, in 1957. She immigrated to Canada with her family in 1968, fleeing the dictatorial regime of the time. She earned a Bachelor of Arts degree in Italian and Hispanic languages and literature at the University of Montréal. July 1st is my country’s birthday. Over the past 20 years, I’ve become a citizen of the world. Nevertheless, I love Canada, and I missed it during my 18 years as an expatriate. Agnes Campbell Macphail (March 24, 1890 – February 13, 1954) was the first woman to be elected to the Canadian House of Commons, and one of the first two women elected to the Legislative Assembly of Ontario. Active throughout her life in progressive Canadian politics, Macphail worked for two separate parties and promoted her ideas through column-writing, activist organizing, and legislation. Hazel McCallion has won 12 consecutive municipal elections to remain the Mayor of Mississauga, Ontario, (Canada’s sixth largest city), for the past 36 years, outlasting a total of eight Canadian Prime Ministers. That in itself is amazing. Even more so is the fact that Hazel just celebrates her 93rd birthday as I update this in 2014, and is still going strong.